Garage Sale Find on Take Me Back Tuesday! Just recently I discovered LT at A Day With Two, and she hosts “Take Me Back Tuesday,” which will fulfill my need to scan in those old pictures! 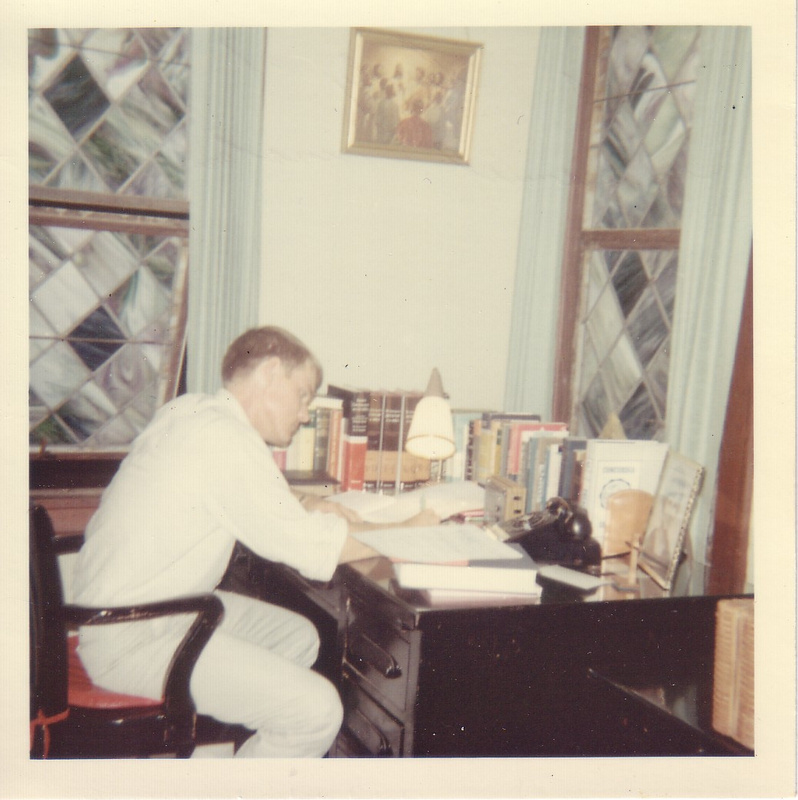 It is a picture of my dad, probably taken by my mom, while he was a vicar in Houston, Texas. So of course, I had to have this plate! Next week, I’ll tell you the story about a plate I don’t even own. 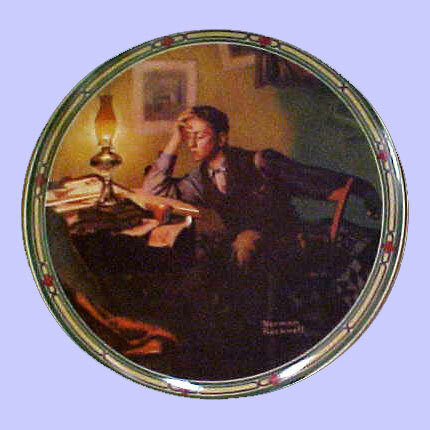 This plate is called “Making Believe at the Mirror”. On Wednesday, I’m starting something new, and I hope you’ll join me! I’ll be writing about a place I’ve been, and I hope you will, too. Then just link up your post, and we’ll travel the world together! (Or maybe we’ll just go out on the town!) Whether you’ve traveled the country or stepped out to your own backyard, share with us: Where in the world are you? Photos are a plus! 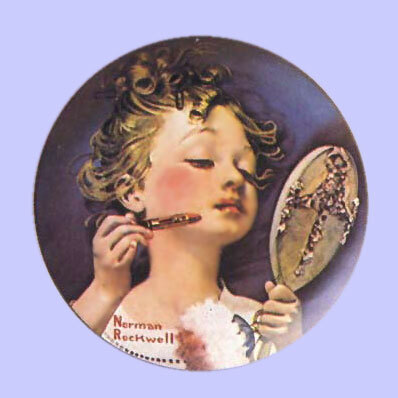 9 Responses to Garage Sale Find on Take Me Back Tuesday! What a special photo! I would have to have the plate, too. Oh what a cool plate to find! I love garage sales. Jamie hates them but I love getting someone else's cool junk for next to nothing. Especially toys and books for the kids (don't worry, I Clorox everything). That plate is so special for the sentimental attachment it brings you! Very nice! i can't wait to hear more about this plate! argh – the suspense! I love that picture of your dad! A vicar in Houston? I thought that there were only "preachers" in Houston. "Vicar" sounds so British!I think Where in the World Wednesday sound fun. Can't wait. What a neat connection. Where in the World Wednesday sounds like fun, I'm not sure if I'll be able to come up with something this week, but it definitely sounds like something the kids & I can have fun with while they are out of school for the summer. Love the plate you bought. Have a great week. I am so excited you joined in on Take Me Back Tuesday!! I love the picture of your dad, and how you related it to your find at the garage sale. Isn't it funny how a small thing like a plate can bring your childhood rushing back?!? 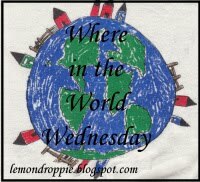 !I would love to join in on Where in the World Wednesday! But sadly I have not been many great places, so you may just see my home town and surrounding areas a lot! But it sounds too good to miss! !